Vietnam Export Import Bank (Eximbank) has partnered with MasterCard to launch contactless cards to its consumers to provide a fast, secure and convenient alternative to cash. Roughly 25,000 contactless payment cards will be issued, converting all existing customers to MasterCard PayPass cardholders. 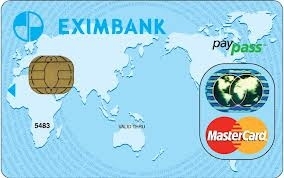 Eximbank will also assist with the development of a network of PayPass-enabled merchants, targeting Hanoi and Ho Chi Minh City by the end of January. With more than 500 new merchant acceptance locations countrywide, MasterCard PayPass cardholders in Vietnam will now be able to make contactless payments at any of these access points, as well as outside the country, anywhere PayPass is accepted. Initial PayPass-enabled merchants in Vietnam include fast food restaurants such as KFC, Pizza Hut, Coffee Bean & Tea Leaf and Tous Les Jours, convenient stores such as Shop & Go and Circle K, and supermarkets such as Maximark and Citimart. Consumers will be able to simply tap their PayPass-enabled card or device on a specially equipped merchant terminal, eliminating the need to fumble for cash and coins, hand their card over to a clerk or swipe the card.